When it comes to a city’s coffee options, more is always better than fewer. Because while you can count on a Starbucks on every corner, you can also count on the worn-out playlist of the same coffee every time. A wide range of options is part of what makes the best coffee cities in the world, well, the best coffee cities. Variety is what keeps our caffeine addiction interesting. While searching for the best places for coffee lovers to live, ApartmentGuide recently took a look at the US cities with the most coffee shops per capita. The result is a list of some of the best places for coffee lovers to settle down, as well as a where-to guide for serious coffee drinkers who are always in need of a cup. These are the most caffeinated cities in America. 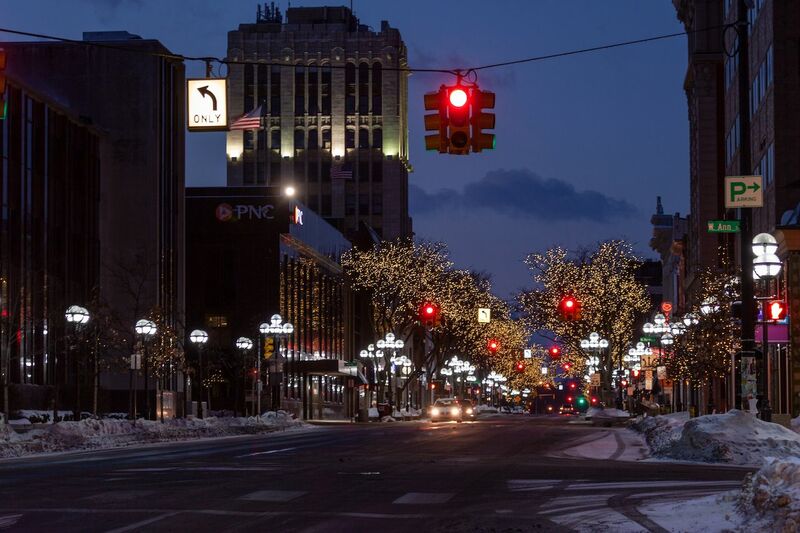 There’s one coffee-related business for every 2,825 people in Ann Arbor, Michigan. The variety is definitely there with 37 coffee shops and six coffee-focused cafes. The supply is there, and there’s a good chance the demand is as well. The University of Michigan has 44,000 students who will all need to pull an all-nighter at some point. The Pacific Northwest is known for hosting a bunch of coffee addicts. Everett, Washington, is the first of several to make the list with one coffee shop for every 2,752 people. It’s just 25 miles north of Seattle and has a big military population thanks to the Naval Station Everett. The inclusion of Pittsburgh, Pennsylvania, on this list might surprise you, but don’t underestimate the influence colleges can have on a city. The former industrial capital is home to colleges like the University of Pittsburgh and Carnegie Mellon University. With just over 300,000 people, it’s one of the largest cities to make the list. There are 2,607 coffee-related businesses for every person in Pittsburgh. Minneapolis, Minnesota, is the country’s coldest urban center with between 60 and 70 inches of snow annually. Nothing warms like a hot cup of coffee, and there are plenty of places to warm up whether you want coffee from a local chain like Caribou Coffee or from one of the many independent shops. There’s one coffee business for every 2,427 people here. Even though more than half of Salt Lake City’s population is Mormon, a religion that abstains from caffeinated drinks, Utah’s capital city has plenty of coffee shops to choose from. There’s one coffee business for every 2,387 people in Salt Lake. It’s no secret that Portland residents love their coffee. It’s the home of Stumptown Coffee Roasters and regularly makes best coffee city lists thanks to innovative roasters in PDX. There’s one coffee business per 2,322 people in the city. While Portland people might take issue with Seattle topping them in a coffee list, Seattle just beats it out with one coffee business per 2,308 people. There are an incredible 278 coffee shops in the Emerald City, and they’re not all Starbucks. There are a lot of tech bros trying to stay awake for some extra disruption hours in San Francisco, California, and there are plenty of coffee shops to satisfy that demand. There’s one coffee-related business in San Francisco for every 2,297 people. The Columbia River isn’t the only thing that separates Portland, Oregon, and Vancouver, Washington. Three spots on the coffee business per capita list do as well. While there’s surely some spillover between the two, Vancouver is the more coffeed-up with one coffee business per 2,224 people. It should come as no surprise that the top coffee city by virtue of sheer numbers is a college town. Berkeley takes it with one coffee business per 2,073 people. 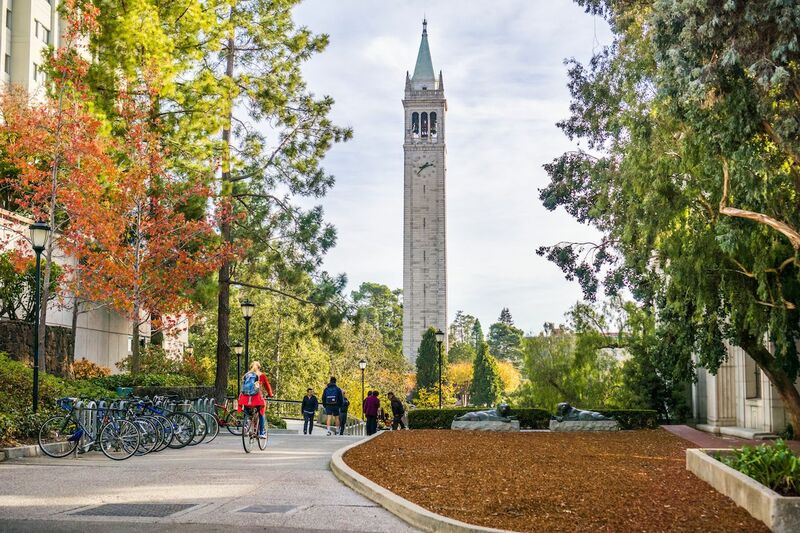 It’s the home of Peet’s Coffee, the University of California, and plenty of caffeinated Berkeleyans.